Wireless sensors are progressively being utilized as a part of everyday life. For example, in viticulture to maintain soil factors suitable for optimizing plant growth, as well as in sports to record performance data of participants. Lastly, sensors are also used to monitor the condition of structures. The research led by Dr. Salman Durrani said the current wireless sensors are becoming a problem because it requires constant replacement of batteries. To solve this problem, the research team is developing a prototype of battery-less sensors capable of harvesting energy from solar and telecommunications technology replacing battery-operated sensors. 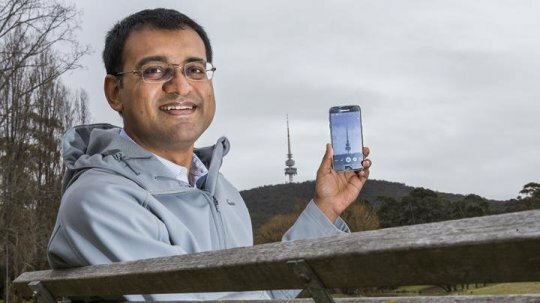 Scientists at the Australian National University (ANU) are making progress in collecting renewable energy from solar or radio frequency sources such as cellphone stations or AM/FM broadcasting towers to power battery-operated sensors. The research, published in the scientific journal IEEE, modeled the feasibility of energy harvesting by powering low-energy wireless sensors. The main challenge of the research was to study the reliability of powering a device without a battery. The issue of the said device with harvesting energy results to unavoidable delays in powering the sensors as the device needs to harvest sufficient energy before it can communicate. The scientists looked at the research and created accurate models on how much energy is needed to sense and to transfer data, given that communication delays are limited to less than a few hundred milliseconds. The researchers found the possibility to collect energy from the ambient environment to replace batteries. Though the technology is still a few years away, the research team tacked in practical applications for long-lasting monitoring devices for a wide range of industries. Dr. Durrani believes that the emerging new sensors could solve the battery replacement problem. Want to know more about this awesome device? Follow this link!